Empire Calls is one of the trusted Money Transfer API Providers in Ahmedabad, Gujarat, India. By using our high security money transfer API, You can transfer online money at any time from anywhere in India. Empire Calls offers Best technology for Money Transfer API. We Offer IMPS channel for money transferring which transfer your money on urgent basis. 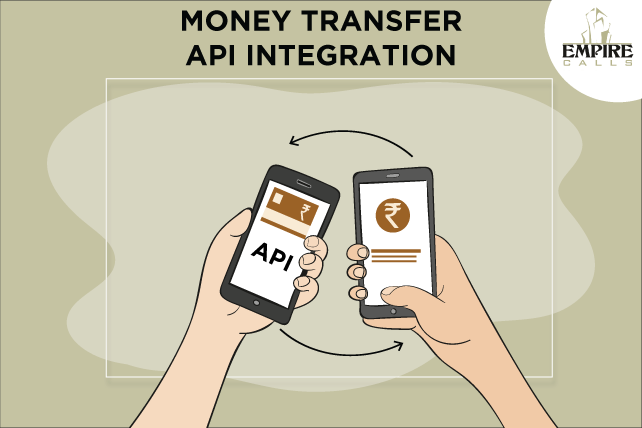 Empire Calls provides Money Transfer API facility 24x7. For more Information Contact (+91) 8000916859.